Mar. 7, 2019 Allen Roulston Interviews in the morning, with a chance of music. Feb. 28, 2019 Jeff Larocque & Pep Owen Brady - Champlain Community Support Network & Linda Miller, Misty River Introductions - plus Jeff & Pep pick their "Clone" Fantasy Teams for the Habs and Sens. Feb. 21, 2019 Allen Roulston An interview with an artist; actor, producer, TV showrunner. Feb. 14, 2019 Allen Roulston Thoughts Spoken Out Loud, sandwiched between musical selections. Feb. 7, 2019 Allen Roulston Music and Chef Marcotte. Jan. 31, 2019 Jeff Larocque & Pep "The Intern" It's Pep's 1 Year Anniversary ... extended #PepTalk today! Also, Cindy Little joins us to talk about Toastmasters. Jan. 24, 2019 Allen Roulston We often listen to music while eating a meal at a restaurant. Today we will have a musical guest followed by guest restauranteur. Jan. 10, 2019 Allen Roulston A Musical Artist and a Food Artist walk into a radio studio . . .
Dec. 27, 2018 Allen Roulston Interview with local musicians. Dec. 20, 2018 Jeff Larocque Eniid Goodman & Danielle Allard guest - PepTalk is on Holiday! Dec. 6, 2018 Jeff Larocque & Pep "The Intern" Rider Girl Colleen Sutton... possibly Pep's last interview before he prepares to go on Vacation for the rest of 2018. Nov. 29, 2018 Allen Roulston Interview with Howie Hooper, Ottawa musician. Nov. 22, 2018 Jeff Larocque & "Pep The Intern" PepTalk is back.... Give Us Your Grey Cup Predictions in the comments area now! Rob Bennett and friends host their annual Food Bank Concert this Saturday. Nov. 15, 2018 Allen Roulston A fascinating interview and uplifting music. Nov. 8, 2018 Jeff Larocque & Pep "The Intern" Shhh! It's Pep's Birthday Today... I have a surprise planned! Brigitte Boulay will also be in around 7:35 to talk about her Socks Drive for the Homeless "Part 2". Special Guest Appearance by Pep's Mom! You gotta hear this one folks! Nov. 1, 2018 Jeff Larocque & "Pep The Intern" Funding Drive Show #2 of 2. Let's Do This Folks! Support Thursday Blend Early with a donation! Oct. 11, 2018 Jeff Larocque & Pep "The Intern" CAP (Canada Africa Partnership) Network - Kevin Perkins plus Maplesoft Centre & Stephanie Woodard live in Studio. Oct. 4, 2018 Jeff Larocque & Pep "The Intern" Ravens BB Assistant Coach Dean Petridis is interviewed by Pep "The Intern" - and VOTE on our Fundraiser Ideas! Sep. 20, 2018 Jeff Larocque & Pep "The Intern" Yes... we're here every Thursday now! Pep & I are honoured to have Kaitlyn Leighton joins us live in Studio to talk about a very special fundraiser happening on Saturday, Sept 22, in Barrhaven. Aug. 30, 2018 Jeff Larocque & "Pep The Intern" Brianne Carlson, Area Coordinator for ALS joins us to talk about a new event on Sept 29, the Ottawa Hike for ALS!... a show so hot, we set off the Fire Alarm! Aug. 16, 2018 Jeff Larocque & Pep "The Intern" Rock Out for Jack Fundraiser, and Canadian Football Institute and #PepTalk Episode 12. Aug. 2, 2018 Jeff Larocque & "Pep The Intern" Going To The Dogs Today... Mike Gatta of Ottawa Dog Rescue in the first half hour, then Welcome To My World Co-Host Kim Kilpatrick joins us to talk about "Raising Stanley - Life With Tulia" . Jun. 21, 2018 Jeff Larocque Johnny Vegas & Scott Bulbrook join me in studio for the hour to talk about "Lake Up! Arden" - Ontario's newest community festival that also has a charitable component you'll want to hear about. May. 24, 2018 Jeff Larocque & "Pep The Intern" #PepTalk returns, and Kristine St-Pierre talks about her Canada Wide Tour! Just Cause gets the music debut of a song from "How To Be Awesome" and the Cambridge Street School Community Shoe Sale. Apr. 26, 2018 Jeff Larocque NDDHS Music Program Success! Plus, two amazing local children's charities, "Stars in a Jar" and "Twice Upon a Time" ...and maybe a little #PepTalk too! Dec. 28, 2017 Jeff Larocque- Filling In Karin Kincaid of Orange Theory Fitness will be phoning in to chat about their fitness clubs, and big things planned for 2018. Dec. 21, 2017 Jeff Larocque We welcome Leslie Scott, Community Relations Coordinator for the Ottawa Distress Centre at 7:15am. Later, Award Winning Humanitarian & local Radio/​TV Personality Dylan Black joins me for "10 Things You Don't Know About Dylan Black". Nov. 30, 2017 Suzette Schmiedel I AM Alive - Discovering Your Creative Nature with Isabel Diaz. Nov. 23, 2017 Jeff Larocque Rob Bennett and Shawn Tavenier host two great fundraisers for 2 amazing causes. We talk to them both! Nov. 9, 2017 Jeff Larocque "Rock Out For Jack" Fundraiser and The Santa Shuffle will be the focus of today's show. Thank You All so much for your support during Funding Drive 2017! Oct. 12, 2017 Jeff Larocque The Great American Trailer Park Musical - Producer Tom Schoch joins me with a preview. With just 6 Days to go before the next CKCUFM Funding Drive, we talk with Station Manager Matthew Crosier. Sep. 28, 2017 Jeff Larocque Robin Banks will be joining me to chat about her "Get Kids to School" fundraiser in the first half hour. Then Dave Hash joins me to preview the upcoming Sharon Hash Memorial Gala. Sep. 21, 2017 Suzette Schmiedel On I AM Alive - A Man’s Journey Within with Jack Lafleur. Sep. 14, 2017 Jeff Larocque Bruce Foster will be in to talk about his book that teaches kids how to stay safe at school, and we re-boot our interview with Marilyn Matheson, Executive Director of Caldwell Family Centre. Aug. 31, 2017 Jeff Larocque 7:15 Olivia Brown, Coordinator of the Fall Shinerama Campaign at Carleton University. 7:35 Caldwell Family Centre, Executive Director, Marilyn Matheson 7:50 Alex Ryder - Singer, Writer, Rocker, Performer! Aug. 17, 2017 Jeff Larocque "Roots on the Clyde" Fundraiser for the Medicine Bird Healing Centre, plus everything goes better with "Baconpalooza 2017"! 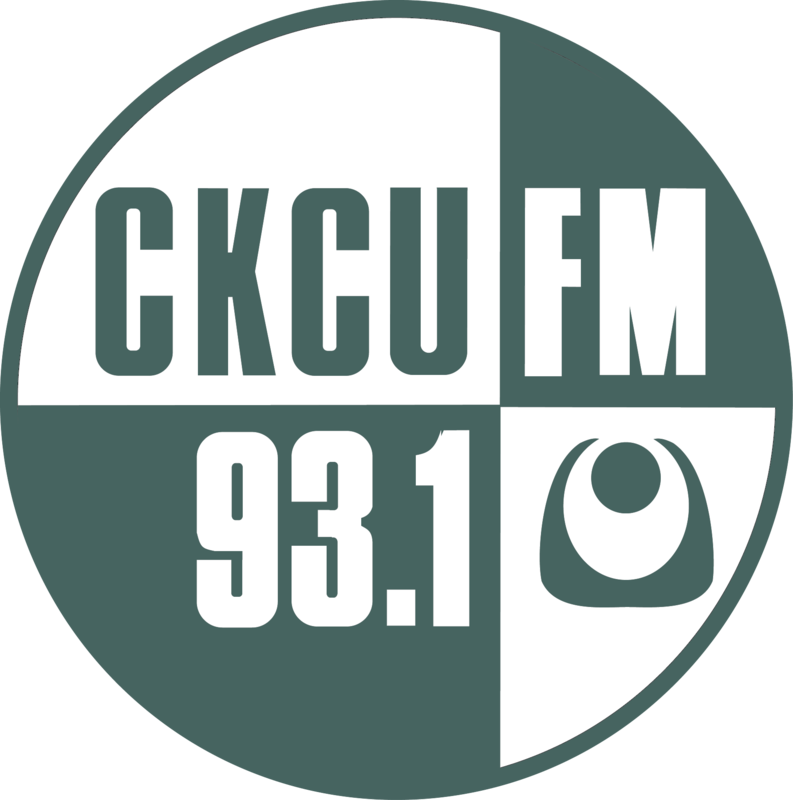 Aug. 10, 2017 Shelley Ann Morris and Chris White A focus on some of the many amazing programs on the CKCU schedule. Aug. 3, 2017 Jeff Larocque Michael Lifshitz will be Co-Hosting Today. Jim Perkins of the Capital City Condors joins me to talk hockey and the special program they run here in Ottawa for kids. Jul. 20, 2017 Jeff Larocque They captured the heart of Ottawa Senator, Kyle Turris & were featured on CBC during the NHL Playoffs. We sit down with Jim Perkins, President of the Capital City Condors Hockey Team. Jul. 6, 2017 Jeff Larocque At 7:15am Farid Yaghini, Founder of Camp Aftermath will be calling in to the studio. Then, at 7:35am, Emma Konrad will join me in studio to enlighten us about The Ottawa Riverkeeper organization. Jun. 22, 2017 Jeff Larocque Regional Manager Dustin Bursey of Canadian Tire Jumpstart Charities, and Melany Gagne of Freedom Dog Rescue join me. Jun. 8, 2017 Jeff Larocque Darryl de Waard and Rachel Richard de Waard join me to celebrate Darryl's 1 Year Anniversary of receiving his life saving kidney donation. May. 25, 2017 Jeff Larocque Ian Shaw & Michel Weatherall chat about Prose in the Park. Then Brianne Carlson's here covering the 2017 Walk for ALS and, Kristine St-Pierre joins us to preview "She's Listening Ottawa" Ovarian Cancer Benefit coming to Irene's Pub on Saturday. May. 11, 2017 Jeff Larocque Talking with Paul Marriage - Chapter Coordinator for the Ottawa Tetra Society and a panel of guests who work with Tetra, or have been helped by them. Apr. 27, 2017 Jeff Larocque Volunteer Appreciation Week and we'll chat with our own CKCUFM Volunteer Coordinator Lindsay Morrison. After 7:30, Les Gagne & Cliff Chamberlain aka "Cliffy C" of The Chillin' Flamingo will be here to perform their "Un-official Anthem for Canada150. Mar. 30, 2017 Jeff Larocque Dave Bradly w a #Guitars4Vets Update, and Greg Brown previews the Rock Out for Jack Fundraiser. Mar. 23, 2017 Tony Copple Help Lesotho, with Peg Herbert, founder of this remarkable charitable entreprize. Mar. 2, 2017 Jeff Larocque Just Cause talks about #613FutureBlues with JW Jones, and Helene Hutchings of Hair Donation Ottawa. Wow! It's my 1 year anniversary show! Feb. 16, 2017 Jeff Larocque Youth Sport Expo Preview with Erin Patchell, and then later in the show, we chat with Ottawa Voicefound CEO, Cynthia Bland. New music and conversation with local singer songwriter Danielle Allard. Feb. 2, 2017 Jeff Larocque Jill Perry, President of the "Beaver Boxing Club", Dave Bradly with "Guitars for Vets" and after 7:30, Tom McKenna with "Ski for Kids"! Jan. 26, 2017 Suzette Schmiedel The 8th Fire School of Shamanism with Medicine Man Pete Bernard. Jan. 19, 2017 Jeff Larocque Around 7:10am Clay Dawdy tells us about the Calabogie Peaks Adaptive Ski Program then, at 7:35 Micheline Masson will chat about the upcoming "Help Ottawa Fur Kids" 2017 Auction supporting local animals and rescues in need. Jan. 5, 2017 Jeff Larocque Guests include Ottawa Distress Centre Service Facilitator Breanna Pizzuto, and in the second half hour Stephanie Karlovits, President - Epic Fitness to talk about the 21 Day Resolution Rehab, and The Dream Girl Project. Dec. 29, 2016 Tony Copple Carty House for refugees, Kingdom Culture's Holiday Dream, on the street outside the Shepherds of Good Hope. In search of what keeps them going, with their seasonal music requests. Dec. 22, 2016 Scott Bulbrook w Jeff Larocque Scott Bulbrook takes over today's program thanks to his generous donation to Thursday Blend Early "Just Cause" as part of the 2016 CKCUFM Funding Drive. Special guests include Steve C. and Steve W. from ComputerWise and news from the Tetra Society. Dec. 8, 2016 Jeff Larocque Ottawa New Year's Eve Charity Ball preview with Executive Director Horace Roxborough just after 7:30. Sep. 29, 2016 Jeff Larocque Harvest of Hope Dinner and Auction in support of the Caldwell Family Centre. Upcoming Events supporting the Heart and Stroke Foundation. Sep. 22, 2016 Suzette Schmiedel Easily Growing Organic Food in your Dinning Room! Aug. 18, 2016 Jeff Larocque Bill Horne & Blackburn Hamlet Cancer Chase & Reanna & Darpan with "Dabalm"
Jul. 28, 2016 Suzette Schmiedel Why Organic Versus GMO? Jul. 21, 2016 Jeff Larocque - Lee-Ann Scott, Director Volunteer Programs - ONFE (Ottawa Network for Education) joins me in studio. Also, "What did Jeff find this time in the record store"?... just after 7:33am. Jul. 14, 2016 Suzette Schmiedel Does my name influence my life? May. 19, 2016 Suzette Schmiedel I AM ALIVE - Does Hypnosis Really Work? Oct. 22, 2015 Suzette Schmiedel What is Socially Conscious Investing? Jul. 23, 2015 Suzette Schmiedel SHE builds sustainable houses? Jun. 4, 2015 Suzette Schmiedel What About Men? Apr. 23, 2015 Suzette Schmiedel What is the OWN Project? Oct. 30, 2014 Suzette Schmiedel Why Outdoor Fitness?